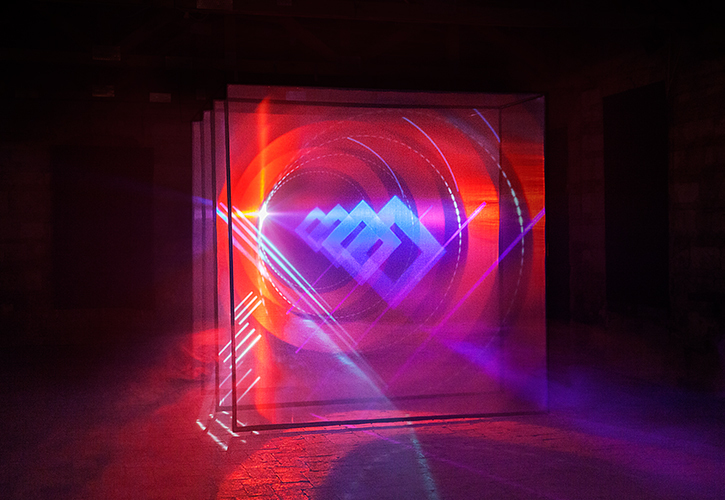 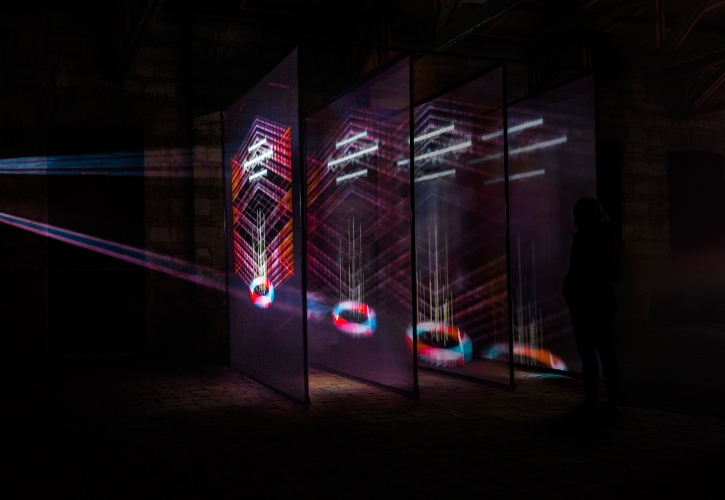 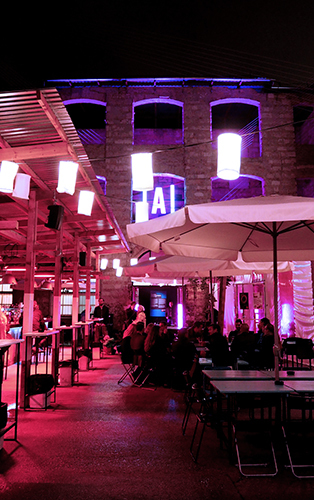 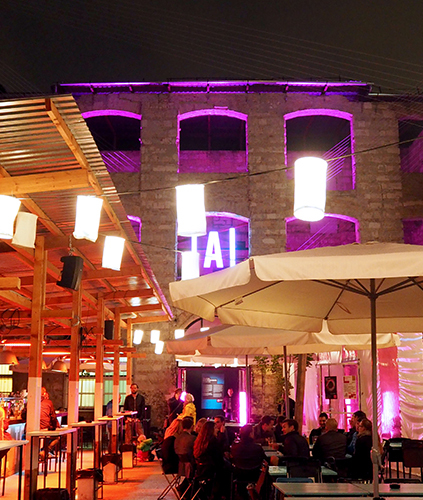 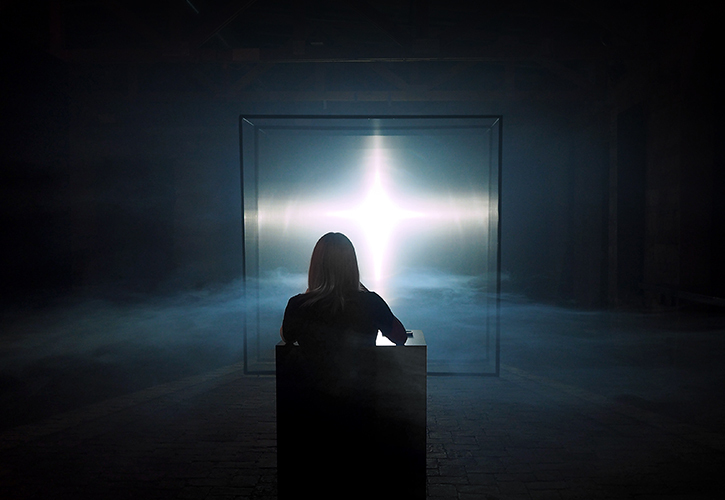 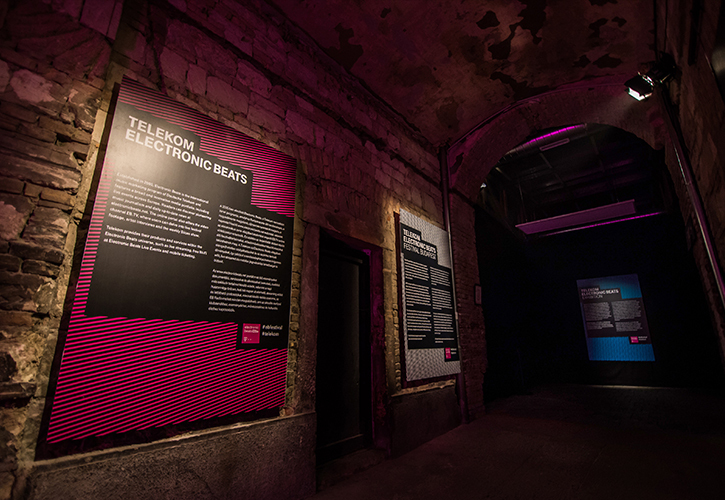 The Electronic Beats Exhibition connects music, art and technology, happening as part of the Telekom Electronic Beats Festival in Budapest (October 15th to 18th, 2015). 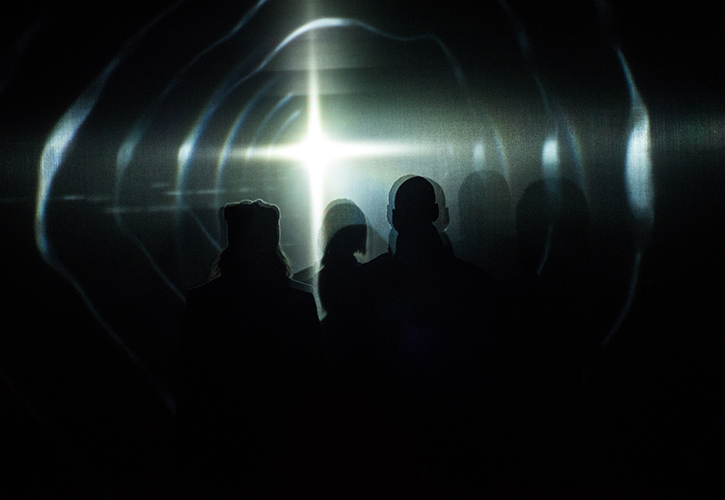 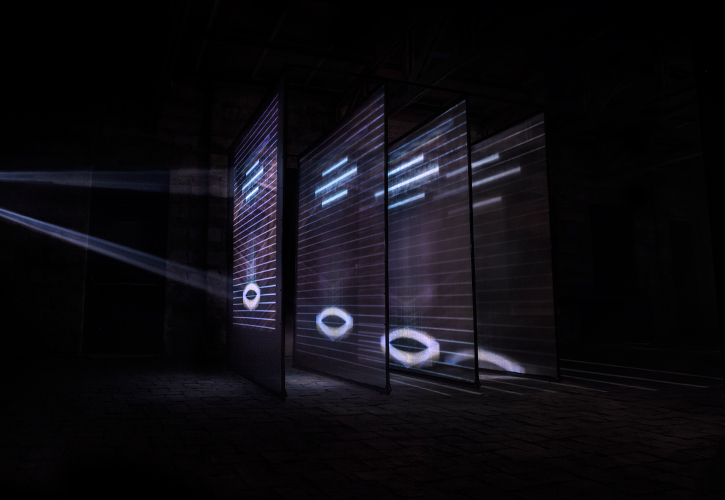 The exhibition centers on the immersive interactive sound installation “Floating Sounds”, developed by flora&faunavisions together with electronic music artist Julian Ganzer. 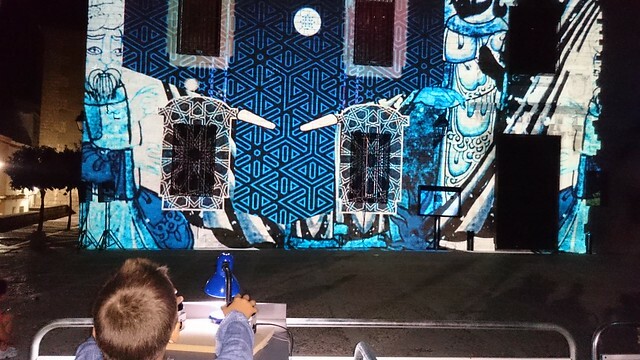 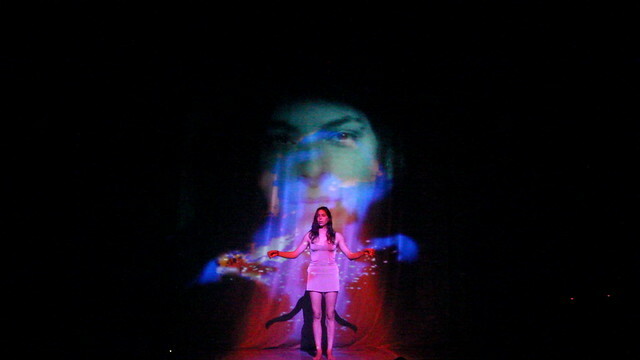 By using the technique of a layered projection on multiple semi-transparent surfaces “Floating Sounds” is a walkable audio visual experience. 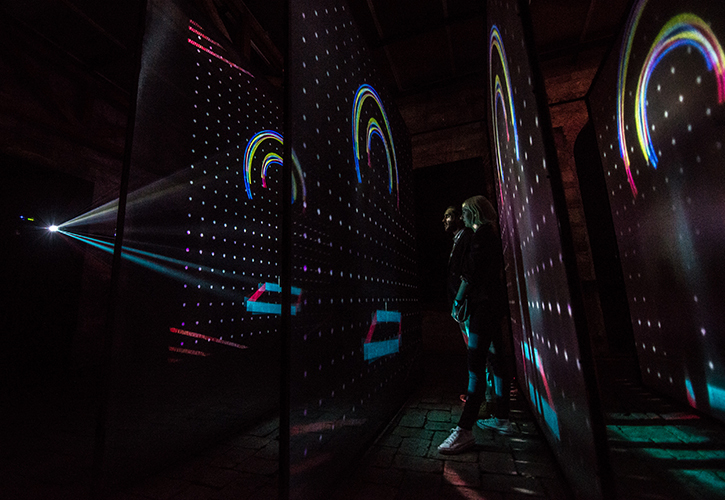 The sounds and visuals are generative based on each visitor’s interaction, thus creating an individual and unique experience. 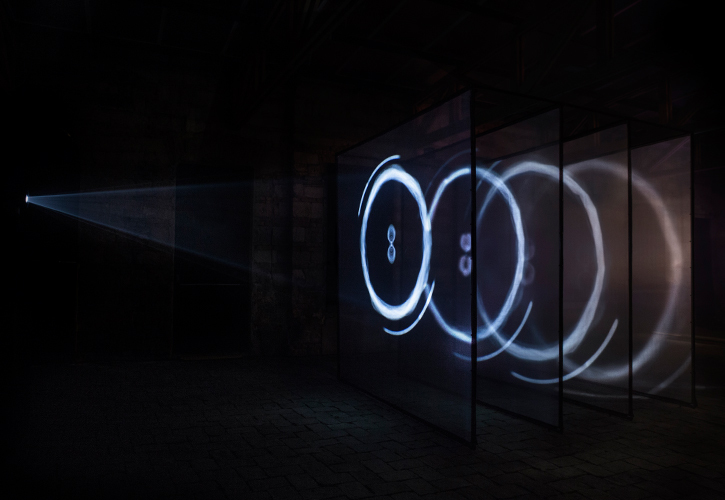 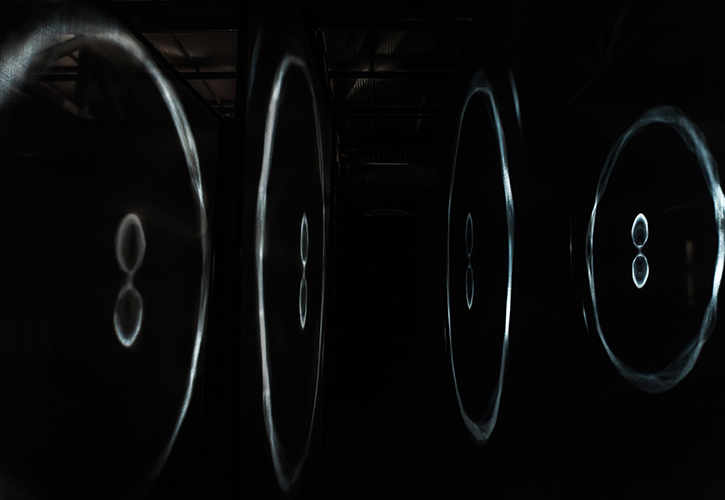 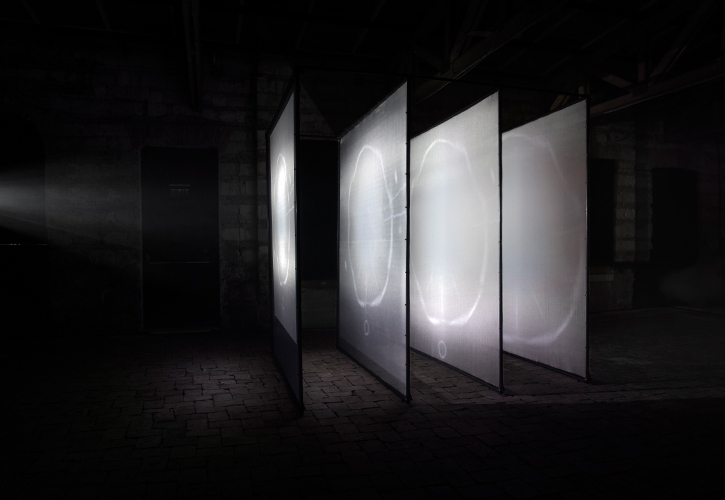 The visual language of the installation corresponds to the same leitmotif – an analogue, haptic language inspired by painters of the early 20th century, such as Oskar Fischinger and Wassily Kandinsky who had already researched the connection between sound and imagery. 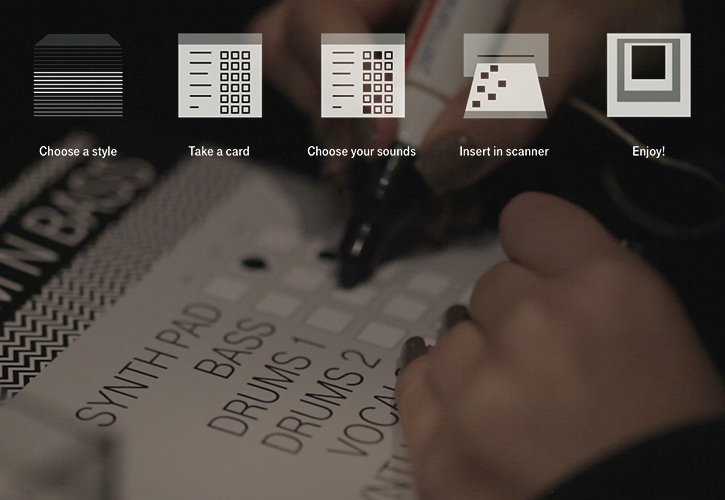 On cards the visitors are asked to choose a combination of musical instruments and sound tracks. 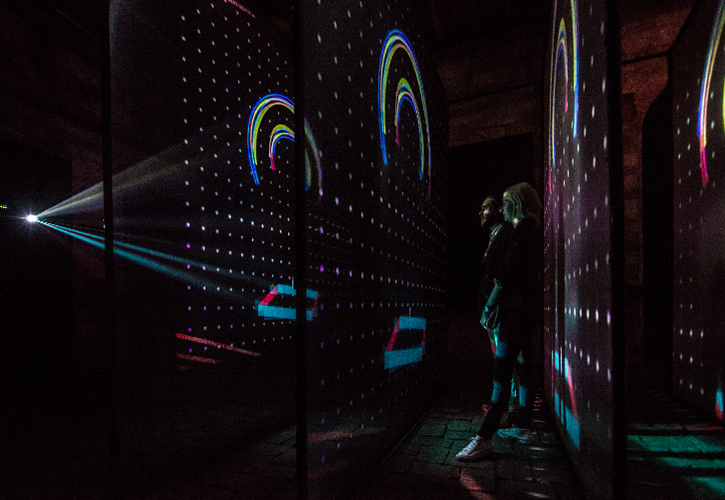 Each visual element of the installation then corresponds to a musical instrument and rhythm, triggered by each card’s individual pattern. 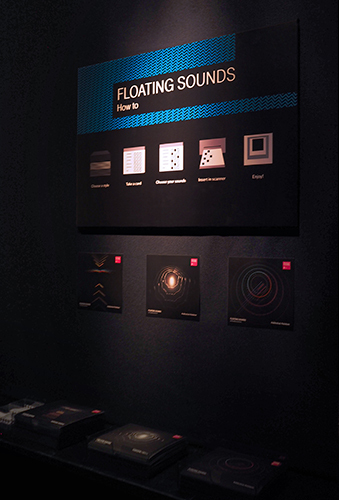 By putting these cards in a scanner, the custom musical elements are combined with visuals on the screens. 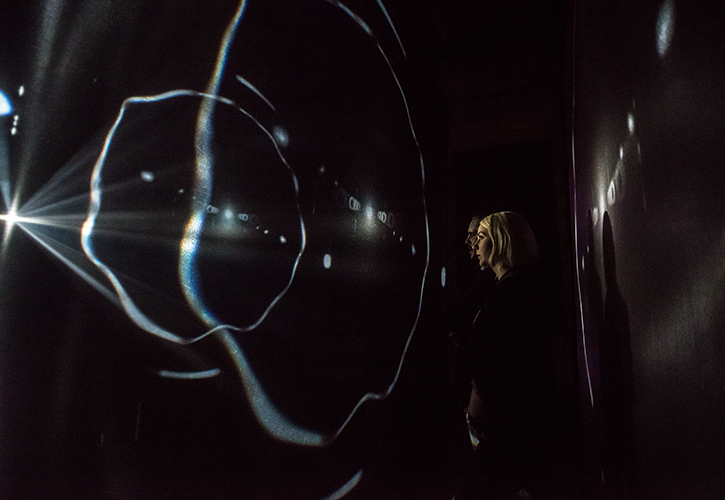 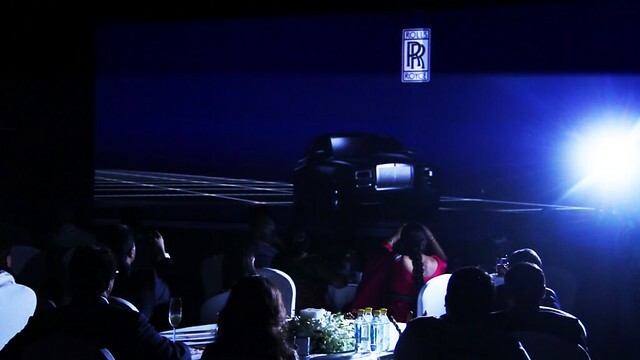 Bringing the musical and visual pieces together and combining them in space creates an individual and poetic experience of sounds floating in the dark. 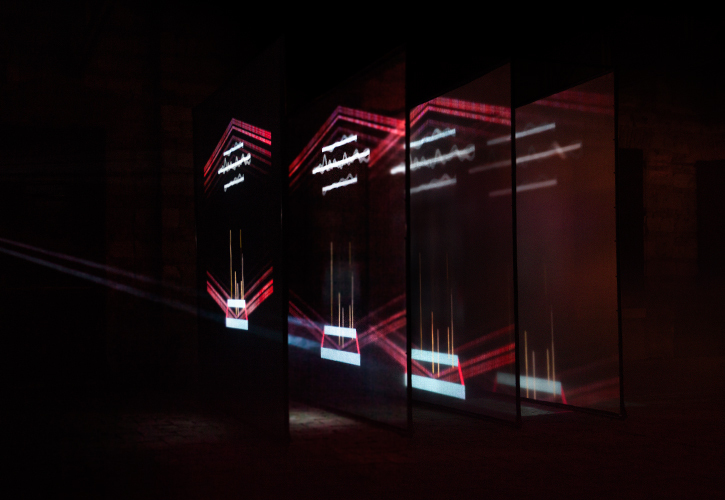 In the workshop space – Hit The Beat, a physical drum machine created by Lorenzo Bravi was displayed. 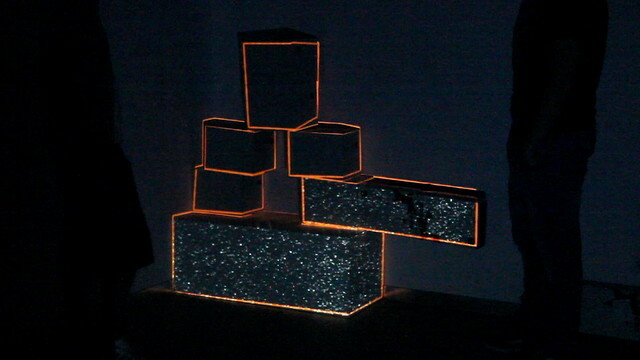 It transforms any object into a musical instrument. 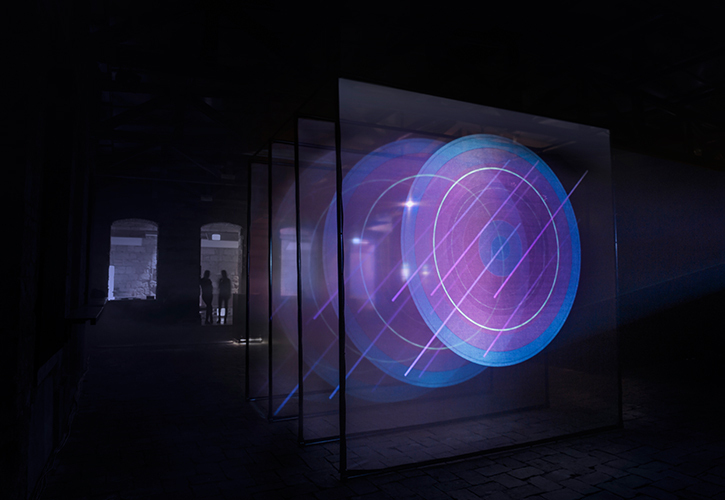 The project originated as a workshop for children in Milan, and became an interactive investigation of music and sound.